This grey 2013 Ram 1500 Laramie has RWD, Hemi 5.7L V8 gas engine, 6 speed automatic transmission and black leather seats. This Laramie package also features ABS, traction control, low tire pressure warning, key-less entry, remote start, alloy wheels, steps, power mirrors, power seats, Bluetooth, drop in bed liner, heated and cooled seats, dual climate controls, touch screen radio with a back up camera. According to the Carfax, this Ram 1500 has had one owner. 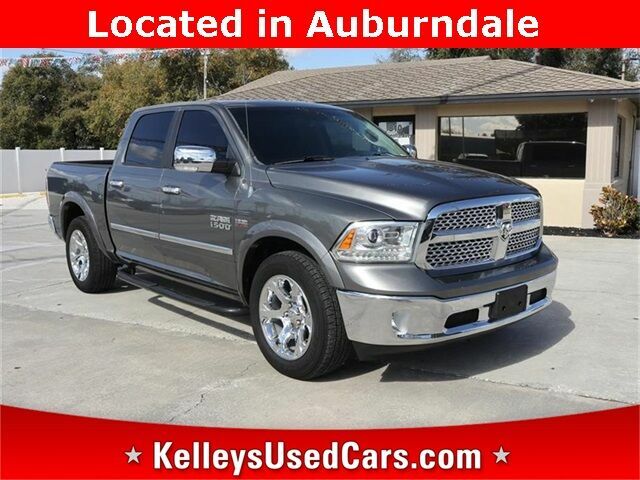 This used Ram 1500 is located at Kelley's Used Cars, 810 Magnolia Ave, Auburndale Florida 33823.